The Riverview Psychiatric Center step-down facility on the campus of Dorothea Dix Psychiatric Center in Bangor. With the departure of former Gov. 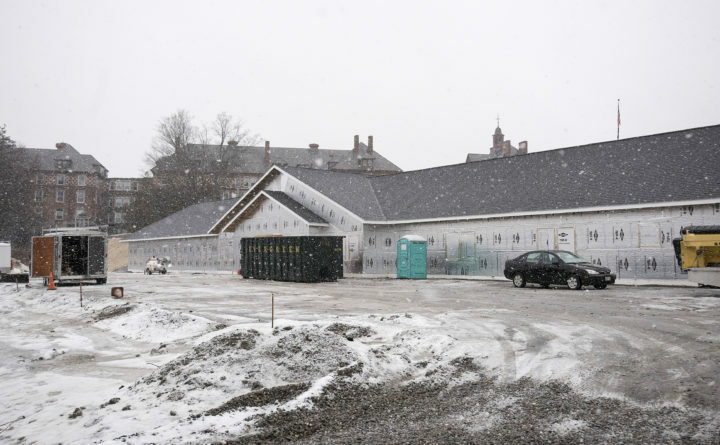 Paul LePage, lawmakers and the Mills administration should take a fresh look at plans for a new state psychiatric facility. LePage rushed the process, refused to answer questions and made decisions out of spite. This resulted in a building in Bangor that is currently under construction, although locating the facility in Augusta may make more sense, and a warning from the retired judge who oversees the state’s mental health system that funding for the new facility would violate a decades-old court order. Given this complicated history, it makes sense to fully review the project. Lawmakers should start by assessing the need for the facility and who it will serve. That will help them determine where it should be located and whether the state or a private contractor should run it. Gattine, a Westbrook Democrat, has introduced a bill to build the facility in Augusta. His bill would require that the facility is state-run, and that decisions about its management be governed by rules set by an advisory committee that includes representatives of patients and their interests. A similar bill was passed by lawmakers in 2017, but LePage vetoed it and the veto was sustained. Although it may be too prescriptive, Gattine’s bill is a good starting point for long overdue discussion. This saga began more than five years ago when Riverview Psychiatric Center lost its certification from the federal government after reviews by the Center for Medicare and Medicaid Services revealed shortcomings in patient treatment and staffing. The 92-bed center in Augusta is the only state-owned facility to house patients who are deemed either incompetent to stand trial or not criminally responsible for their actions and who have been ordered by a court to be housed in a state mental health facility. However, some of the patients at Riverview do not need a hospital-level of care and would be better served at a less restrictive facility. Moving these patients out of Riverview would also free up beds for people who need its high-level of treatment, but who are often held in emergency rooms when the state hospital is full. Rather than work with lawmakers to get this approval, LePage said he’d build it in Bangor. Officials from the Department of Health and Human Services then skipped meetings with lawmakers and refused to answer questions, preventing lawmakers from exercising their oversight responsibility. LePage also said he didn’t need the Legislature to approve funding for the facility because it would be funded with money already in the DHHS budget. It was unclear to lawmakers who oversee the department and who finalize the state budget where that money would come from. Last month, Daniel Wathen, the former chief justice of the Maine Supreme Judicial Court who oversees the state’s compliance with a decades-old court order on mental health services, recommended that the state not sign a contract for administration of the facility being built in Bangor because of funding concerns. An official from the LePage administration signed the contract in its final days, but Correct Care Recovery Solutions, the company chosen by the LePage administration to run the facility, agreed not to sign it following a request from Gov. Janet Mills before she took office. This gives lawmakers and Mills, who has committed to a full evaluation of the project, the time and space needed to formulate a plan to best meet the needs of the people a new facility will be designed to serve. Maine needs this facility, but there have been too many unanswered questions about it up to this point. It’s time for an open and detailed discussion about where it should be located and how it should be run.